Croatia is adapting its energy legislation to relevant European Union Directives, also in the field of energy efficiency and renewable energy. While specific legislation and regulation in these areas have been initiated, many of the proposals still await adoption and implementation. information and awareness, and energy efficiency and environmental policies. 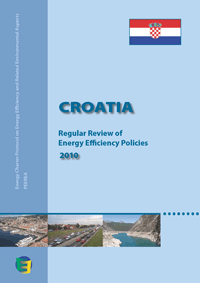 The In-Depth Review of Energy Efficiency Policies and Programmes of Croatia is available in English. Croatia has implemented a strong programme of market liberalisation, reorganisation and privatisation in the energy sector, with a strong focus on adapting its energy sector legislation to the acquis communautaire. Croatia is working to enhance regional cooperation and interdependence, thereby increasing the security of energy supply and competition for the whole region and the European Union. Energy efficiency plays an important role in Croatian energy policy. In 2008, an energy efficiency master plan was finished and an Act on Energy End-use Efficiency adopted. The National Energy Efficiency Action Plan (NEEAP) was prepared to comply with the requirements of the EU directive on energy end-use efficiency and energy services. Croatia has also adopted a national indicative energy savings target of 9% of final inland energy consumption by 2016. The intermediate target in 2010 is 3%, or 6.59 PJ. A specific purpose fund - the Environmental Protection and Energy Efficiency Fund - is now established to fund projects to improve energy efficiency and promote renewable energy, with a number of projects active under international cooperation. In renewable energy, Croatia introduced obligations to purchase all electrical energy output from privileged energy producers and aims to increase the share of renewable sources (without large hydro-electricity plants) from 0.8% to 5.8% of total electricity consumption from 2004 to 2010. Including large hydro, renewable energy in 2006 was 34.7% of consumption. 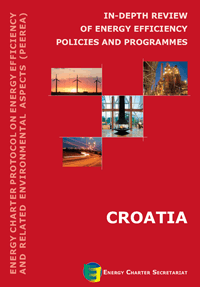 This document provides a summary of Croatia's overall energy strategy and policies, and detailed information on the policies and institutions set up to improve energy efficiency and renewable energy use in the country. This report has been prepared by officials of the Croatian Government. 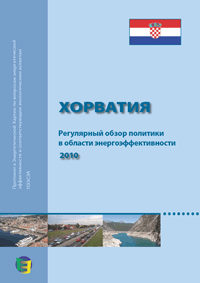 The Regular Review of Energy Efficiency Policies of Croatia is available in English and Russian.